Like many students, Jordan Yoder and Josh Robinson enjoyed their time at Goshen High School, but did not realize how valuable their classes were or how much they had learned until they had started college, both pursuing medical degrees. 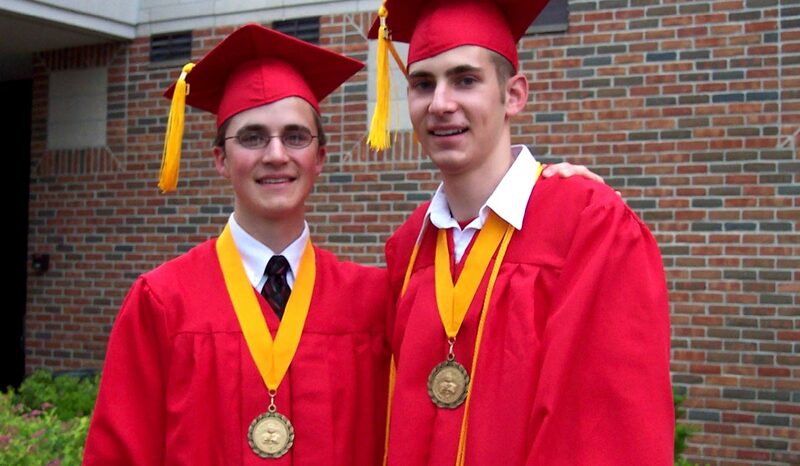 Josh and Jordan are two friends who went through school at the same time, graduated from Goshen High School together and now are both pursuing careers in the medical field. Both young men got involved in several hands-on science activities at Goshen High School, including the school’s marine biology course, which includes spending several days working in the Florida Keys. They were both also members of rocket club. Now, both are working in the medical field and view Goshen High School as giving them a better start in both their areas of interest. Jordan is currently in residency at Boston University Medical Center, focused on internal medicine. Josh is working at a nonprofit clinic called Spectrios Institute in Chicago, for people with low vision. There, Josh helps people with significant vision loss live the lives they want. That can mean helping a 95-year-old with low vision find a way to continue to read sheet music at her piano, he explained, or working with a 7-year-old with an inherited optometric condition get through school. 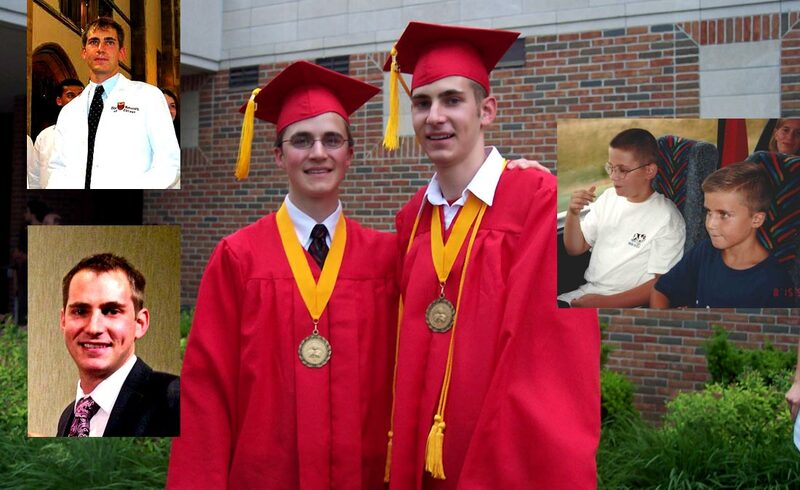 Josh Robinson (left) and Jordan Yoder (right) graduated from Goshen High School in 2005. Josh and Jordan were drawn to the medical field not only because of their strong interests and backgrounds in science, but because they wanted to help people. Jordan noted that, after several family members went through medical situations, he realized the difference a good doctor can make. Josh specifically noted, “the people in Goshen, my church, friends, the community,” for setting him on his journey to becoming an optometrist.